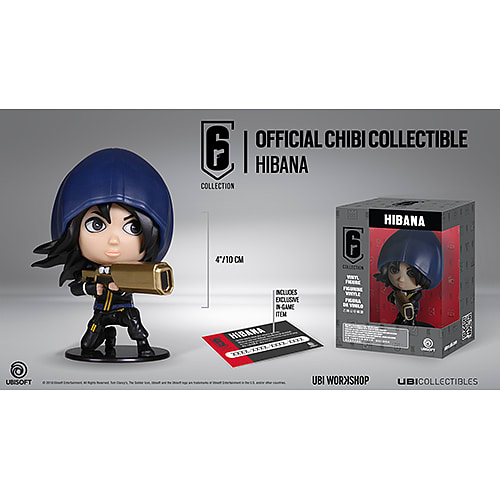 Now you can add Hibana, and other operators, to your Six Collection! Ubisoft proudly presents the second wave of operators, in the Official Six Collection. Five new figurines are now available, and are all based on the operators and gun charms that are found in-game. Each figurine comes with a unique code to unlock exclusive content in Rainbow Six Siege. "Remember, it's not over until I blow it up. And even then." Yumiko "Hibana" Imagawa is a Japanese Attacking Operator, from the Special Assault Team (S.A.T). Specialized in paramilitary techniques, Hibana is a natural team leader who can make some serious holes in the walls with her X-KAIROS, a projectile launcher that fires thermal breaching pellets.